Nationwide -- When he was just 10-years old, Sammie Lee Hill from Richmond, California says that an angel visited him and told him that he had a purpose in this life. The voice told him to go out and help and encourage others in need. He heard that voice and never questioned it. As an African American boy born into poverty and extreme tragedy, he never allowed his horrific circumstances to hijack his mission in life. First, serving on an all-white police force for 20 years, he endured extreme prejudice and was constantly mocked and ridiculed. But he continued on serving and protecting, and was loved by many. 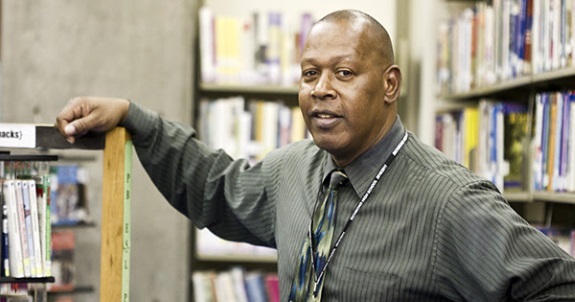 After 20 years, he was offered the job of his dreams to be a counselor at the very high school he attended. Now known as "The Mentor," Sammie is helping many troubled teens at the high school to experience love and trust for the first time in their young lives. Some go on to be successful and the first ones to graduate high school in their family, but not every teen he tries to helps ends in victory. But ultimately, Sammie's goal is to earn their trust and gain their love. Through each hardship of gangs, shootings and poverty, many of the teens only go to Sammie (or Mr. Hill, as they call him) to talk. They tell him everything and he sees them through. As the many stories unfold Sammie keeps a steady determination to give hope and love through each horrific storm. Sammie dedicates his life to the community and "his kids" as he affectionately calls them. He comments, "I console them and guide them through dark days. I show them the light. They are the broken, forgotten and the disenfranchised in the inner city of Richmond, California." Since becoming a counselor at the high school, Sammie has never missed one graduation. His greatest joy is to see his students graduate and move on to the next phase in their life. Sammie Lee Hill's story will soon be told in an upcoming screenplay series entitled "The Mentor" written by Margie Tor. The story will be dedicated to his grandson, Sammie Boi, who tragically died at the age of 19 last year. Labels: As an African American boy born into poverty and extreme tragedy, he never allowed his horrific circumstances to hijack his mission in life.